At a time when the abortion industry has been exposed for trafficking aborted baby body parts, one would think this to be a terrible time to trash pro-life accomplishments like late-term abortion bans. Apparently, Mother Jones thinks otherwise. This week, Mother Jones published a smear article on pro-life Governor John Kasich, calling him an “extremist”–a “wolf in sheep’s clothing.” Why? Because over the last four years, he’s signed 16 pro-life measures, including our late-term abortion ban in 2011. So much for a smear. 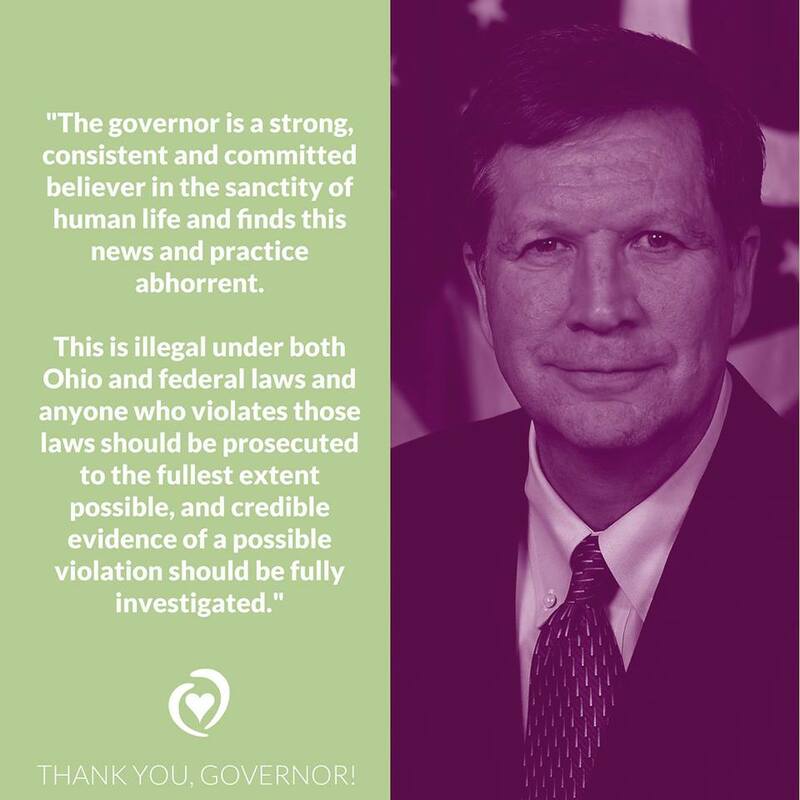 Governor Kasich signed a ban on extreme late-term abortions, and he signed legislation providing new funding for pregnancy help centers at a time when Ohio is facing an infant mortality crisis. Only radical abortion cheerleaders would believe this to be devious. Make no mistake – Big Abortion fears Kasich because after enacting a record number of pro-life laws he still won re-election in a “purple” state by 30 points! He won 86 of 88 counties in the great state of Ohio. Ohio is THE swing state and his pro-life record helped catapult him to a historic victory on election day. We shouldn’t be surprised that Mother Jones finds scandalous all the life saving laws Governor Kasich enacted. Kasich is public enemy #1 to the abortion industry and this industry views him as a threat to their financial bottom line of aborting babies and selling their body parts. At Ohio Right to Life, we are grateful to note that abortions are at their lowest level since their high point in the 1980s. As abortion mills continue to close their doors, and abortions continue to decline, we’re glad to read articles like this one from Mother Jones. It means we’re doing something right. As the campaign to expose Planned Parenthood continues to unfold, it’s more important than ever that we work with our pro-life leaders to change the culture and pass life-saving legislation. Will you sign our petition to de-fund Planned Parenthood? When the pro-abortion camp is clearly scrambling to play defense, it’s critical that we keep pushing forward. This entry was posted in Uncategorized and tagged new funding for pregnancy help centers, signed 16 pro-life measures, trafficking aborted baby body parts. Bookmark the permalink.